“Pursuit of Gold” connects my ancestors and me to the transnational and agricultural corporation, Tate and Lyle, as a means to convey a genealogical tree in the globalist era. The work follows the many paths taken by the sugar my Guyanese family harvested, touching upon the present and colonial search for riches (or “El Dorado”). 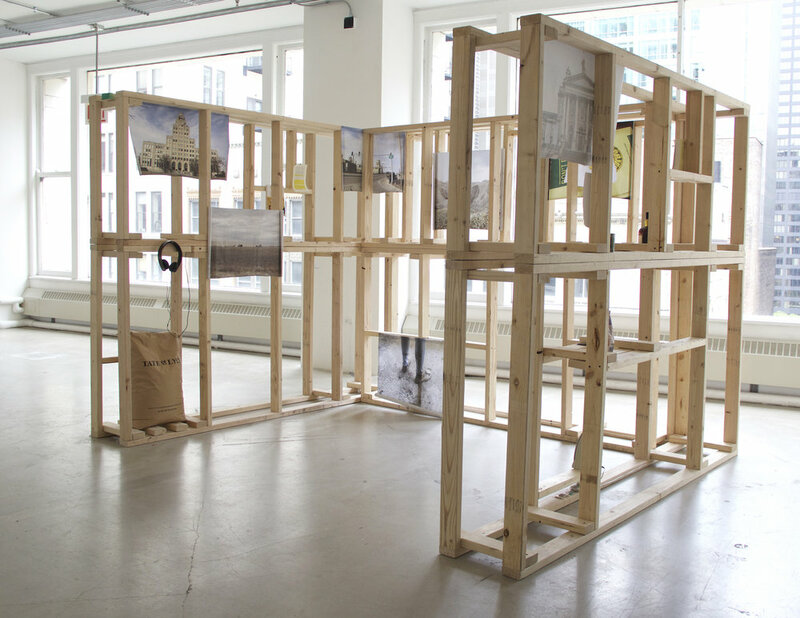 Using a wooden structure representative of my father’s vocation as a carpenter, the two-by-fours become lines that illustrate the conceptual connections between photographs (printed on sugarcane paper) and store-bought goods, such as refined sugar and distilled rum. At the heart of the structure is an audio recording of my mother talking about her life on a Guyanese sugar plantation. By highlighting the interconnectivity of each element, I’m able to show the pervasiveness of colonial and capitalistic reach—where no facet is left untouched. Materials featured in this detail photo: The Discovery of Guiana by Sir Walter Raleigh, a personalized certificate from the El Dorado Rum Distillery, bottle of El Dorado Rum, Guyanese Gold cane sugar, Lyle and Son’s Golden Syrup, Tate and Lyle Demerara Guyanese-Style Sugar, photograph of the Tate Gallery (printed on sugarcane paper), wood screws, and wood studs. 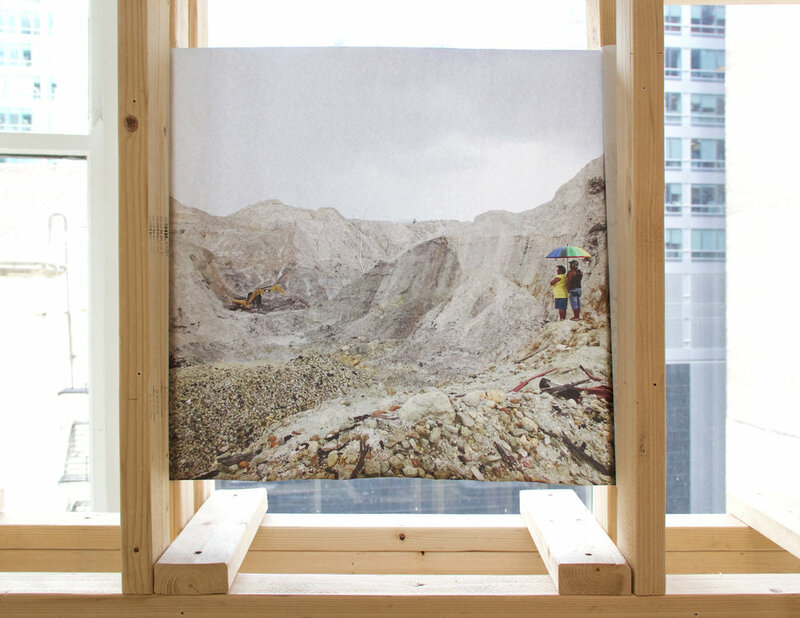 Detail features a photograph (printed on sugarcane paper) I took from the inside of an open-pit gold mine in Mahdia, Guyana.